A bike parking locator that allows users to find Bike Parking published through Open Data Philly and allows for user input to display parking they've discovered. In addition, a map overlay of Bike Theft data would be able to be toggled to show theft by month and year. This project has not had much activity since its inception in October 2013 but I would love to kickback the Kiqstnd, and get this going again!!! Are you interested in working on a cool Bicycle App? Hi Philly Hackers! 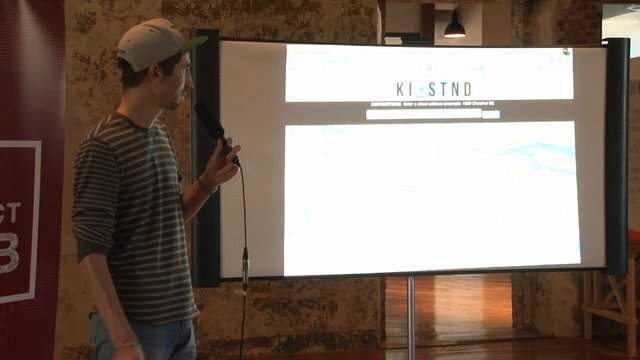 Kiqstnd won 2nd place at the Apps for Philly Transit Hackathon in 2013, but since then we've proverbially kicked the kickstand on it. I've decided that I would indeed like to revive Kiqstnd and I'm looking for some help in doing so. Everyone is welcome. The only thing required is a passion for making Philly better with great civic apps! Please feel free to contact me if you are interested.